One on one training at your local gym, home or outdoors, Wiltshire Fitness is the right choice for a healthier, happier and longer life. 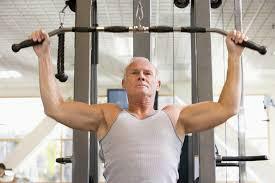 Going to the gym for the first time can be daunting for a young person let alone a more senior member of society. Gym's are also often avoided by those with health and medical conditions. In fact, many people return the their local gym after surgery and can cause themselves more harm than good if they do not follow the correct exercise and diet plan. Your 1-2-1 Fitness session can take place at your local gym or in an outdoor area if preferred. You will have someone motivating you every step of the way. Your personal trainer Chris, is fully qualified to make sure exercises are performed correctly/safely. During a FREE initial consultation we will design a bespoke exercise programme to meet your personal health and fitness goals. We design group exercise programmes that can improve mobility and improve general health and well being. I work with residential and care homes throughout the county to improve the lives of its residents. After a FREE initial consultation I design "seated" and "non seated" exercises which everyone can participate in. All sessions are designed to be fun and encourage social interaction. During each session age appropriate background music can be played. Group's should normally consist of at least 5 people, but we are happy to work with individuals residing within residential/care homes too. Prefer to work out in the comfort of your own home? Not a problem! 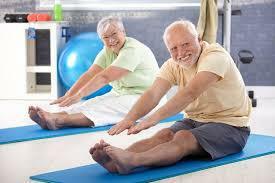 Our lives are often hectic and many people use the excuse that they simply do not have time to exercise or have mobility or health issues which stop them from joining a gym. The reason I set up Wiltshire Fitness was to give everyone over the age of 50 the opportunity to improve their lives for the better. After a FREE initial consultation I will put together an exercise programme and motivate you to achieve your full potential. I am fully qualified and insured to work with senior citizens and those with health and medical conditions.